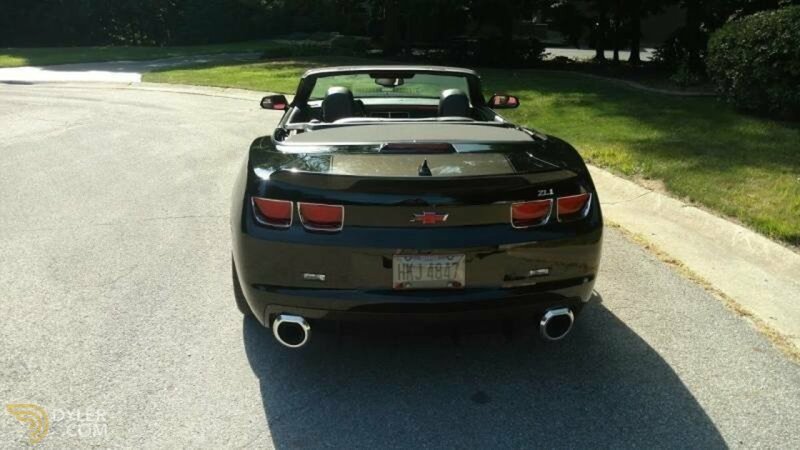 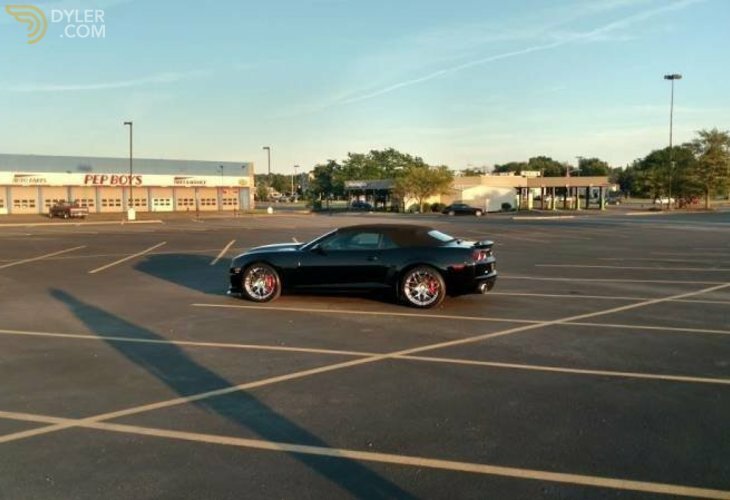 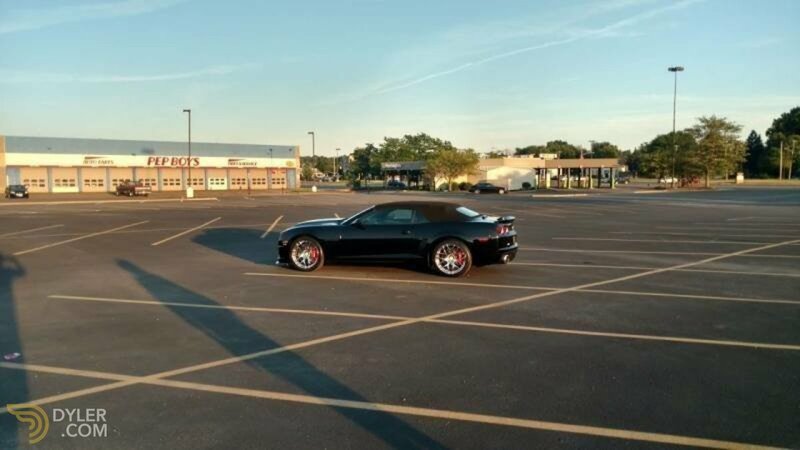 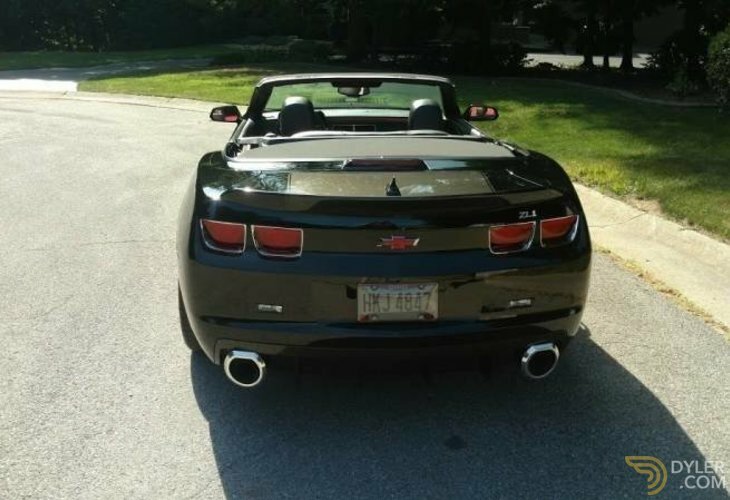 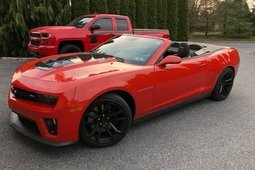 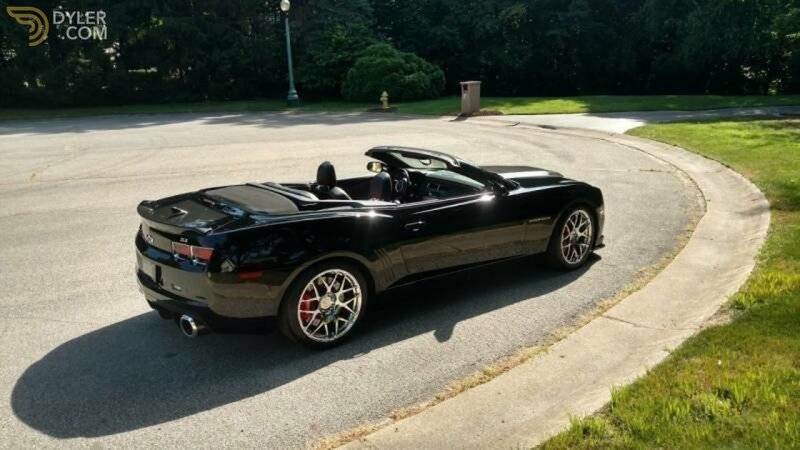 2011 SLP ZL1 Chevrolet convertible Camaro that was originally a 1 of 69 build special edition car but have come to find out that only roughly 32 of these were built. 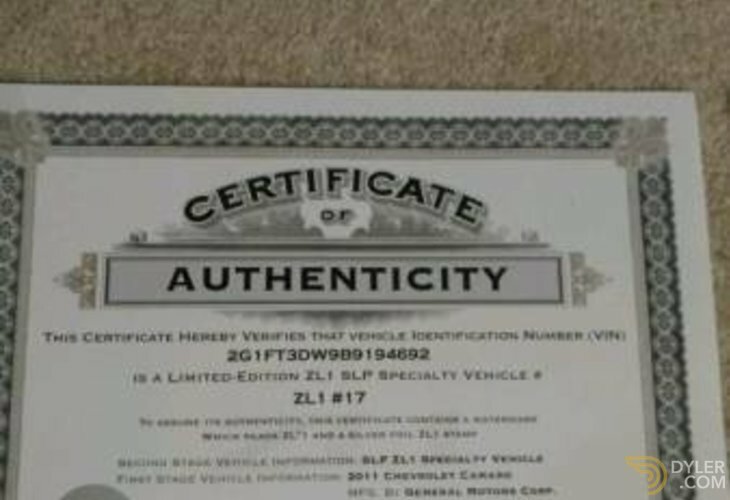 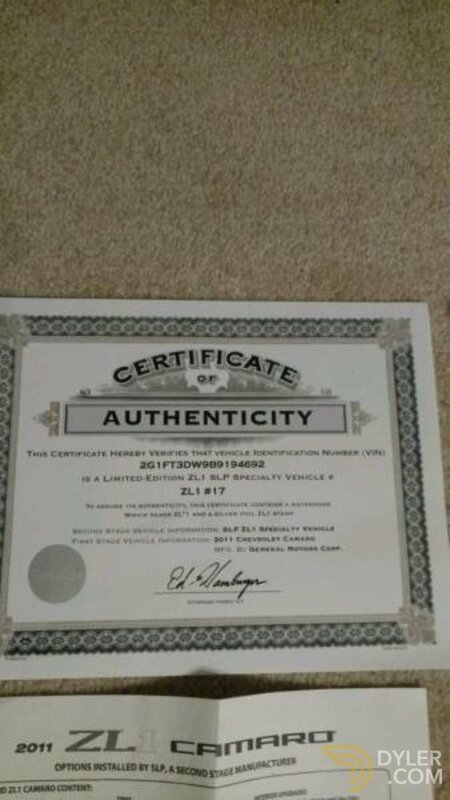 I have the GM certificate of authenticity along with the ZL1 SLP production paperwork. 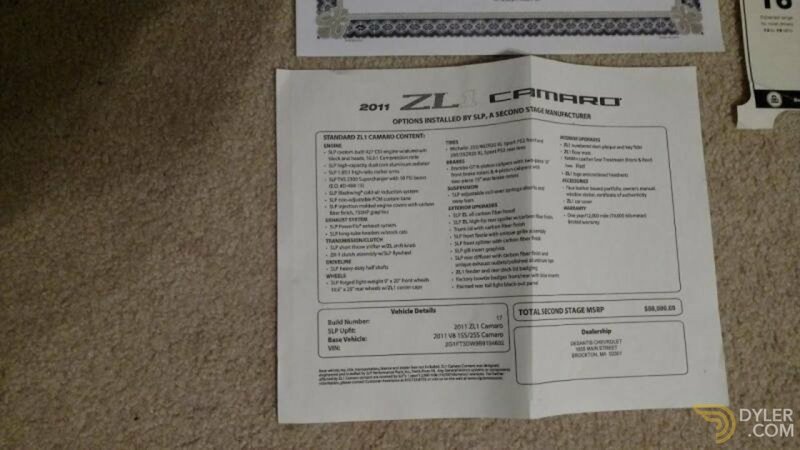 I also have the window sticker from the car. 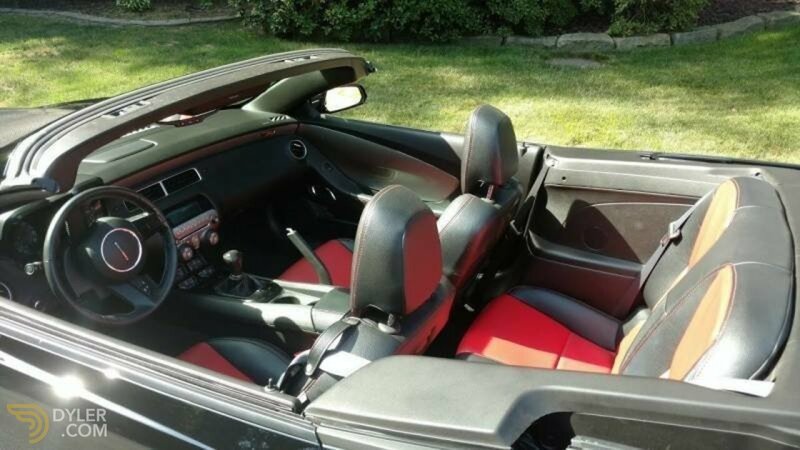 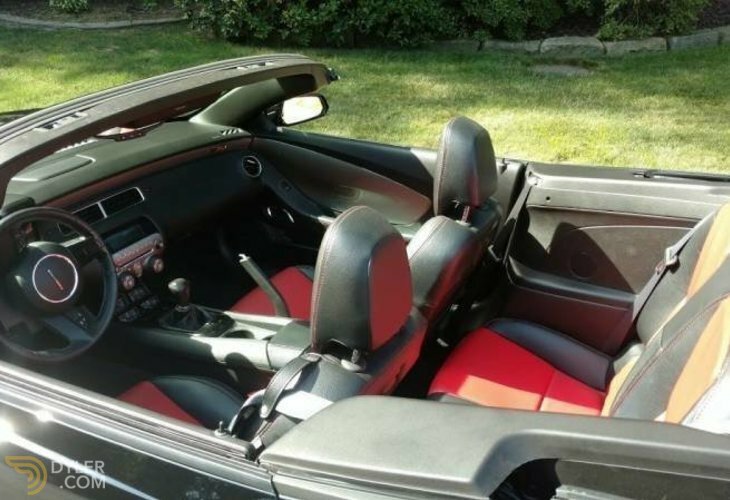 This is #17 and have been told they only made 3 convertibles with this package. 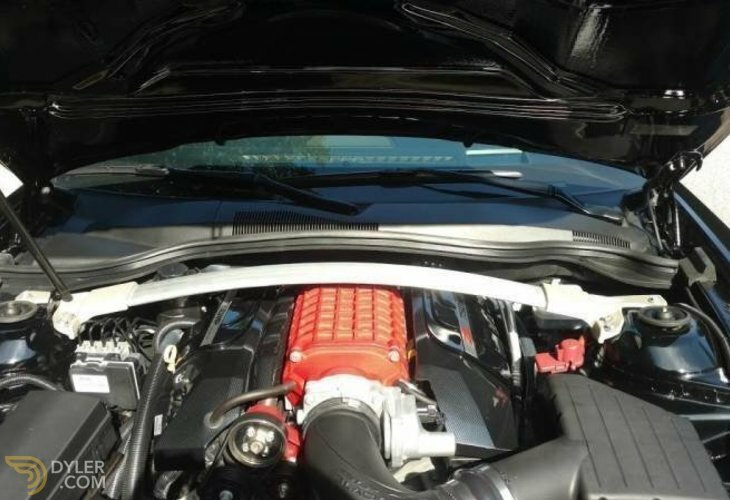 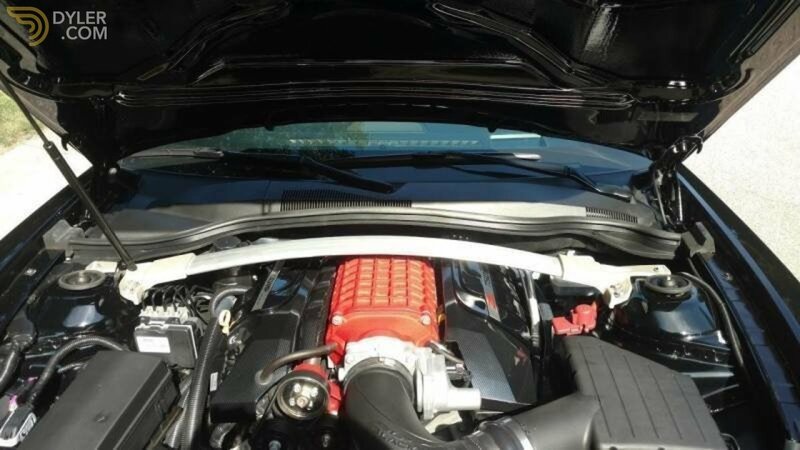 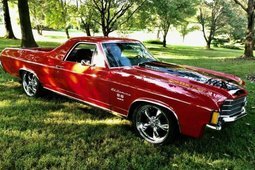 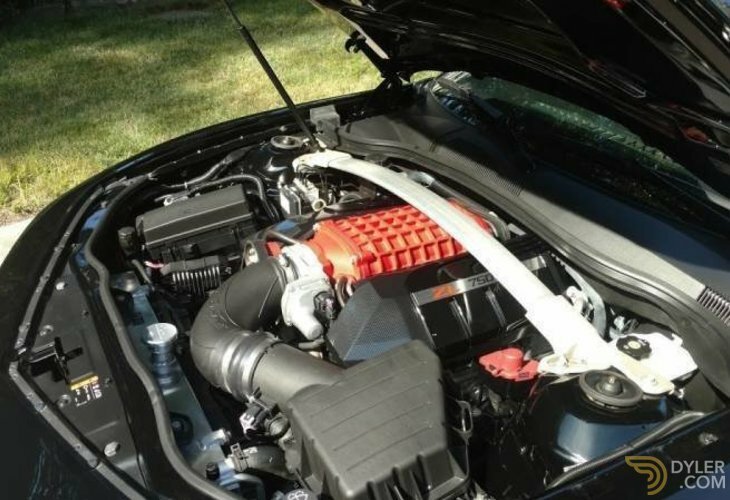 The car has a all aluminum LS7 427 engine with a 2300 magnesun supercharger. 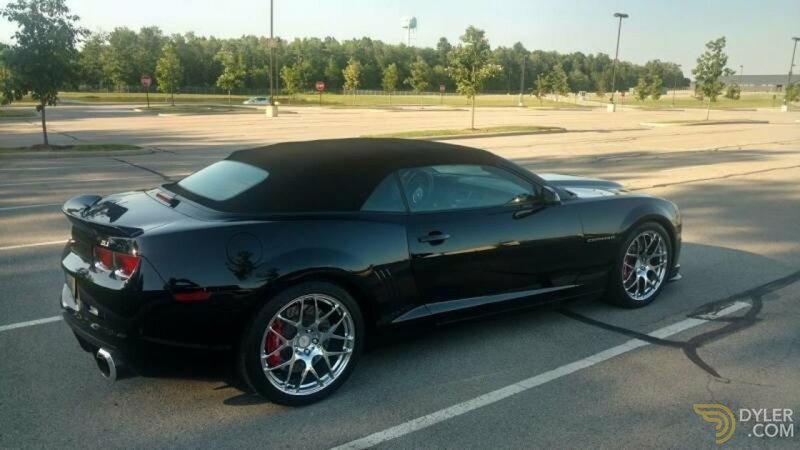 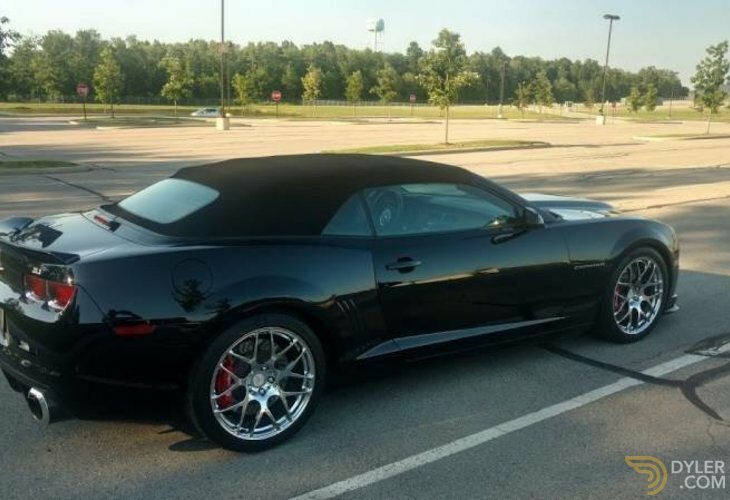 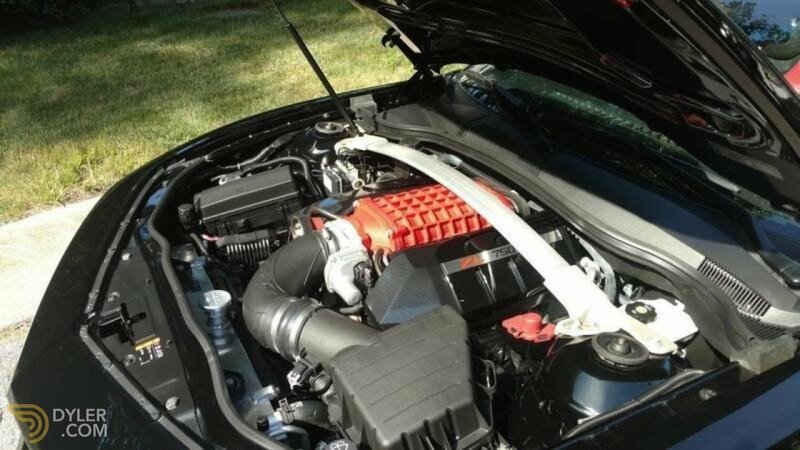 The car is equipped with a 6 speed manual transmission and has the ZL1 rear end placed in prior to the 2012 production year where it became a option. 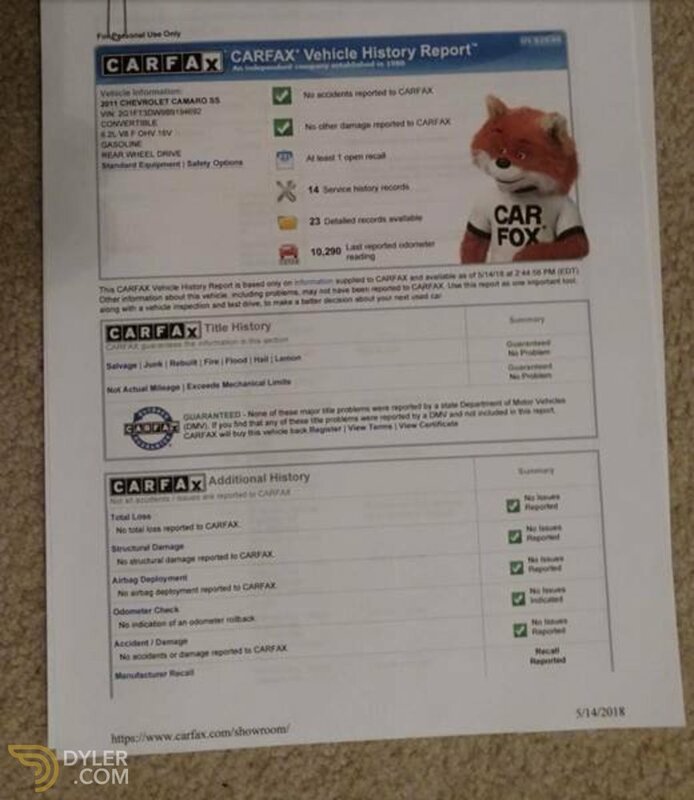 I can supply any of the paperwork to a serious buyer. 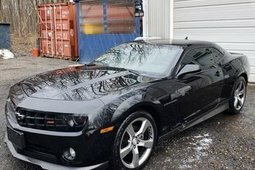 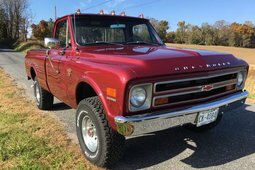 This car is in very nice condition and has 10,800 miles on it. 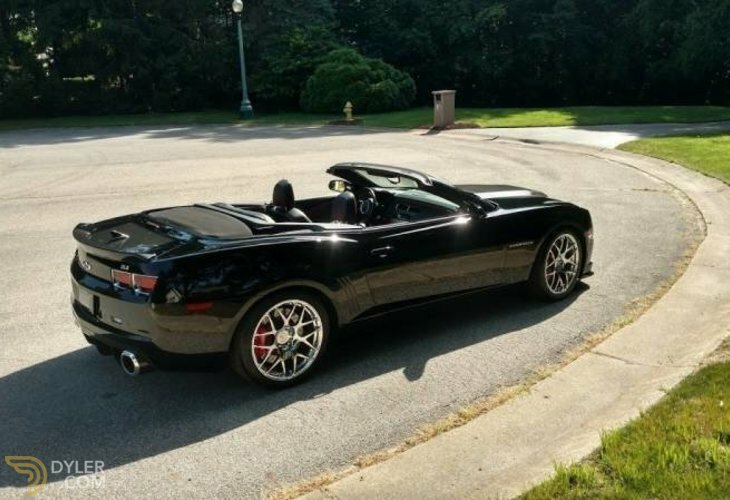 I have put a new set of Michelin ZR rated tires on it which were the exact same ones it came with and have the set that came off the car if you want them as well. 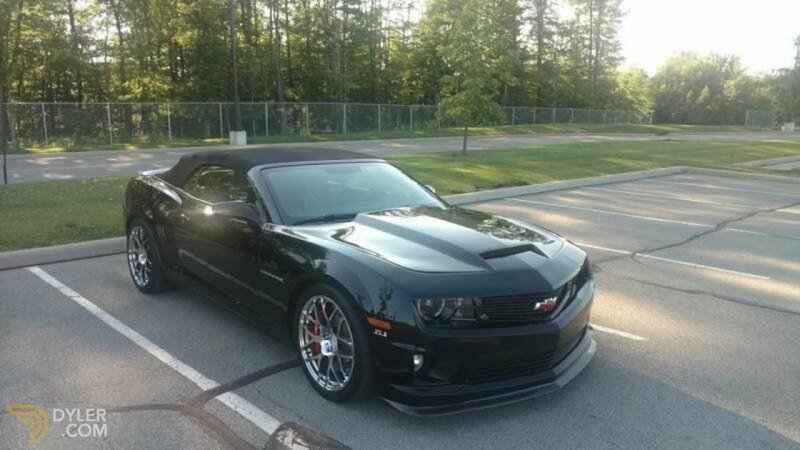 Also I had a new replacement battery installed from the GM garage and had the radiator flushed and oil changed. 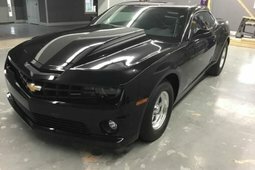 The car has black interior with red inserts and is black on the outside with a dark gray racing stripe which looks like a alligator print. 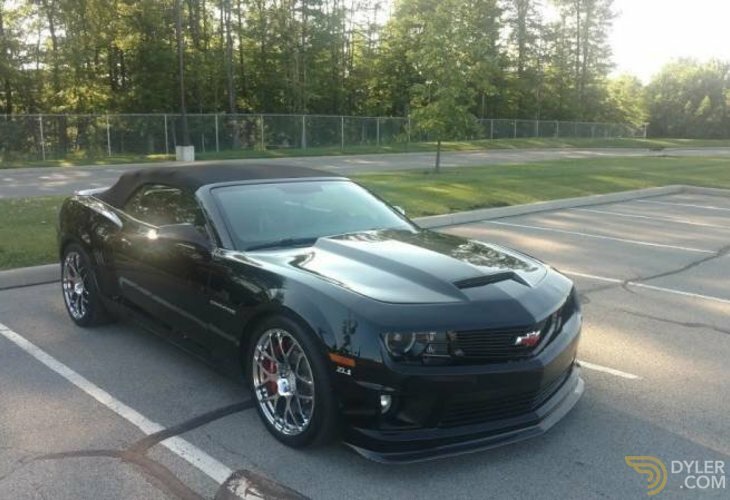 It is the nicest and fastest car I have ever owned and in my opinion is a great investment piece. 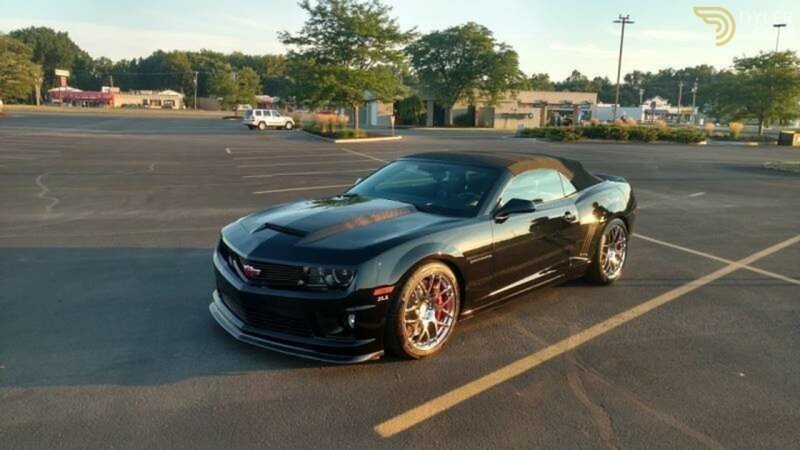 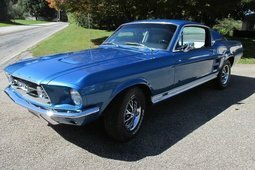 This was built in honor of the 1969 Camaro ZL1 which they also produced 69 of. 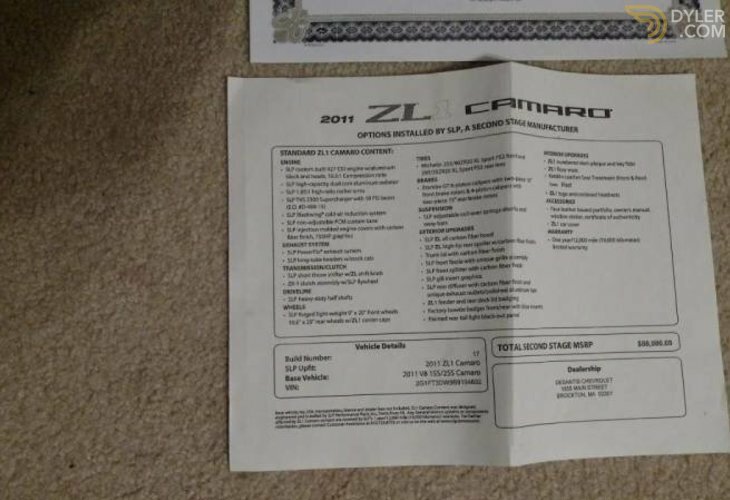 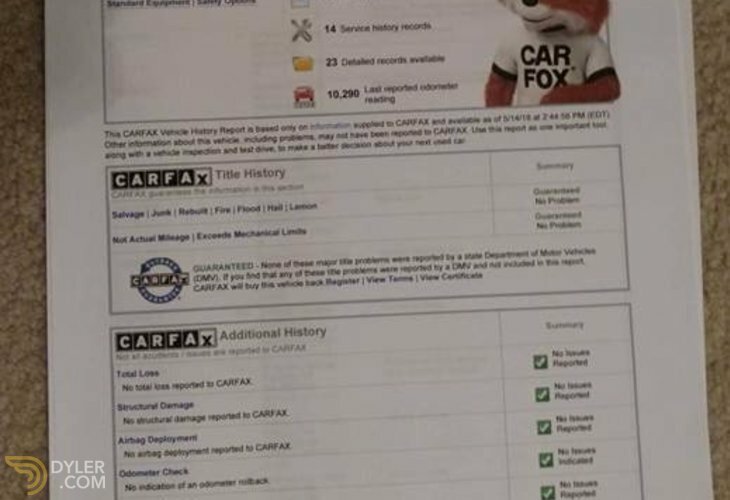 Car comes with a car cover that was special for this production model as well. 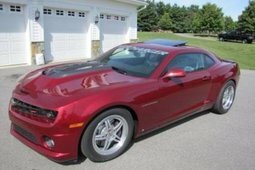 Car and driver stated a standing quarter mile of 11.1 seconds on street tires and a top speed of 205 mph. 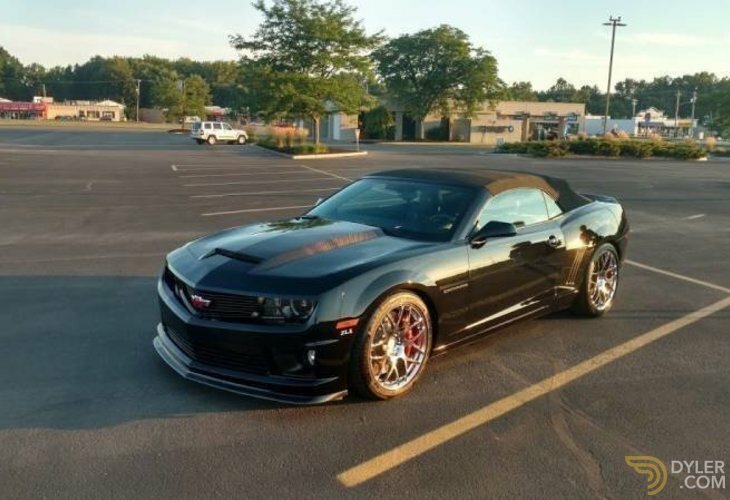 This car stickered over $43,000 and the SLP ZL1 package was a additional $80,000 with a total price with tax over $125,000 sticker.